With the purchase of one complete pair of glasses, you can get a second complete pair of equal or lesser value for half price! This includes single vision, bifocals, progressives, anti-fatigue, and sunglasses. Both pairs of glasses must be purchased by one customer and use the same prescription. 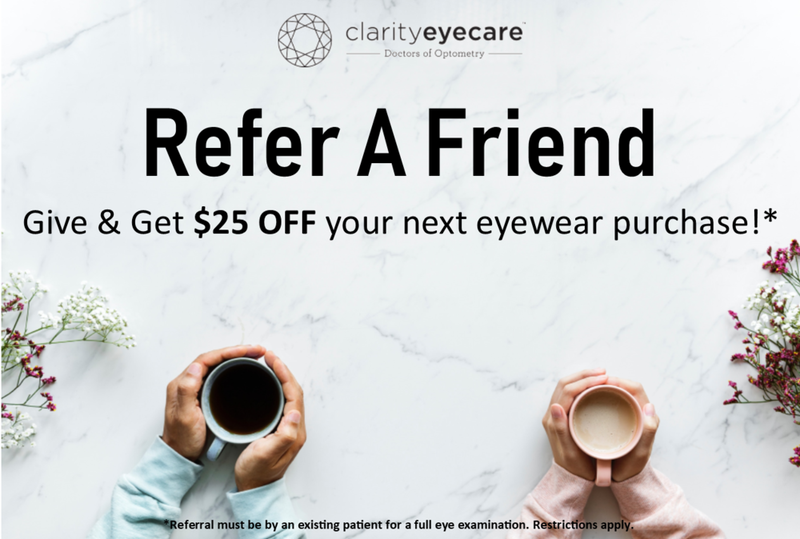 For every new referral you make, both you and your friend will receive a $25 voucher that can be used toward any eyewear purchase at Clarity Eyecare. Multiple vouchers can be redeemed at one time.